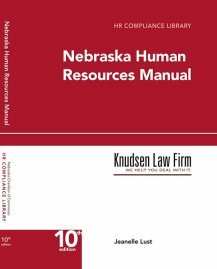 Knudsen, Berkheimer, Richardson, & Endacott is proud to announce its involvement in the recent updating process of the Nebraska Civil Practice & Procedure Manual. Partners Trev Peterson and Jeanelle Lust authored updates to chapters which were included in the 2016 edition of the manual. This update is years in the making and will assist thousands of attorneys across the state of Nebraska in their practice. Trev Peterson updated the chapter titled Case Analysis, Screening, and Preparation and Jeanelle Lust updated the chapter titled Responsive Pleadings and Motions with assistance from associate Paul Donahue. The Nebraska Civil Practice & Procedure Manual (2016 Edition) is currently for sale by the Nebraska State Bar Association for $95.